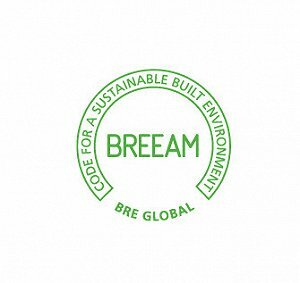 Held annually to recognise the highest scoring buildings assessed under BREEAM standards in the previous year, the 2015 BREEAM awards – now in its 25th year - were announced on Tuesday 3rd March at the Marriott Hotel, Grosvenor Square, London. For each of the 12 categories of BREEAM, the top five scoring buildings across Europe were nominated for an award. These nominees were each invited to submit a case study to a panel of industry judges who then made the final decision on winners. The independent panel included Claudine Blamey (Crown Estate), Alan Cole (Home Office) and Bill Gething (Architect), Thomas Lane (Building magazine), Mike Smith (BSRIA) and Louise Sunderland (UK Green Building Council). Their decisions were bases on BREEAM scores, specific achievements, challenges and the circumstances of each build. New Retail Construction winner, Fornebu S, won the coveted award by just a handful more votes than the category’s runner-up, 119 Ebury Street, out of the several thousand cast. Additional awards were handed out for BREEAM Assessor Company of the Year (GreenBuild Consult), Assessors of the Year (Amanda Gallagher of Easlar, Yasmina Mikhael of RES Design Long & Partners, and Barry Rankin of GWP Project Services), and Country First Award (Zsombor Barta of the Sentient Kft for the first BREEAM assessment in South Korea, Anna Foden of Max Fordham for the first assessment in Iraq, Natalya Naumova of Drees & Sommer for Kazakhstan, and Zane Sauka of IB&P Konsultacijas, for the first Latvian assessment). Other projects which scored highly were commended by the judges, including the WWF-UK Living Planet Centre in Woking, BLOX in Prague, the Diageo Guinness Brew House in Dublin and 10 Burlington Street in London. Browse all our live sustainability, building services and contruction job opportunities here.